Want to verify if your hostel is really near the train station? Need to quickly check if your apartment is next to the Uffizi Museum or if it’s closer to the Stadium? Curious about the distance between your hotel and Michelangelo’s David or the Ponte Vecchio (Old Bridge)? The answers to all these questions are in the StudentsVille Florence City map! The City map of Florence, Italy divides the city into 8 main zones marked by 8 different colors (see the legend below). 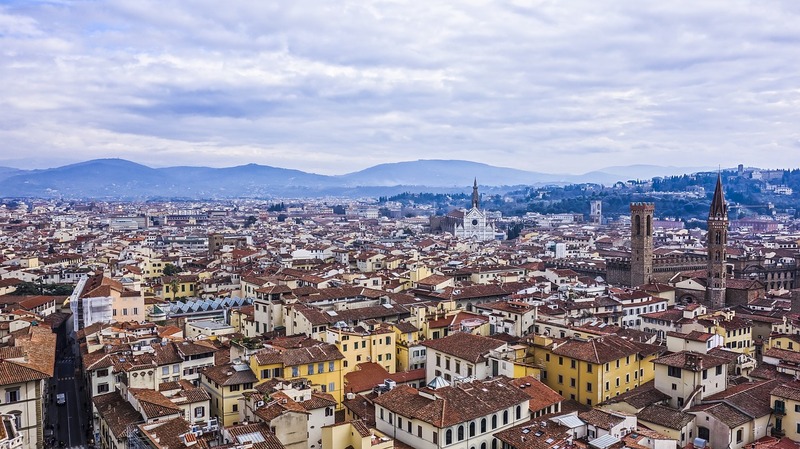 Want to know more about staying in Florence, Tourist information Office, accommodations in Florence, Pitti Palace, Uffizi Gallery, Palazzo Vecchio… and more? Click here for all informations about Florence and enjoy your stay in Florence! Are you desperately looking for a particular street, square or boulevard, and nobody can help you? No problem! StudentsVille – as usual – will help you to solve your most pressing issues. Mapaplane Maps – On Mapaplane.com you’ll find very useful info of Florence centre Map (and of the rest of the world) that you can zoom in and zoom out very easily. Florence Bus Map – Click on the Florence district you want to reach. A more detailed map of the area will appear together with the bus number taking you there. Other information about the Florence bus service on the excellent ATAF official website. Florence Map by Mega – monuments, shopping, services map of the city. Interesting the ‘monuments map’, especially for the good quality of the photos inside. Florence Town Walls – A map of Medieval Florence. Very interesting. Don’t miss the excellent ‘Photo Gallery” and ‘History‘ sections. IOL Mappe. Another website where you can find every street of every italian city…Eccellent service! Kataweb City Maps. Very easy to use, all the main Italian and International cities are selected here…Good service! This is definitely the most typical and ‘genuine’ district of the city.